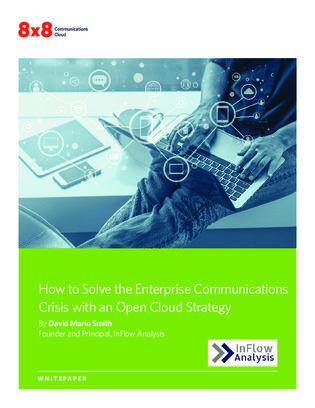 Research by InFlow Analysis shows that 75% of on-premises UC deployment initiatives fail. The culprit is frequently poor enduser adoption due to workflow integration and interoperability problems. In this report, explore research on how enterprises are choosing an open cloud strategy to facilitate effective collaborative workflows.